Waypoint House Bed + Breakfast – located in the Shenandoah Valley in the beautiful town of Berryville, Virginia, and just minutes from Winchester, Virginia and Harpers Ferry West Virginia – offers a historic setting with all the modern conveniences you could wish for. Waypoint House is also situated just over an hour’s drive from the Nation’s Capital, Washington, D.C. Whether you are on vacation, business, or just taking an extended break from a hectic schedule, you will find that Waypoint House is the perfect place to stay. We are a modern Bed + Breakfast, so you won’t find doilies and knick-knack stuffed rooms here. 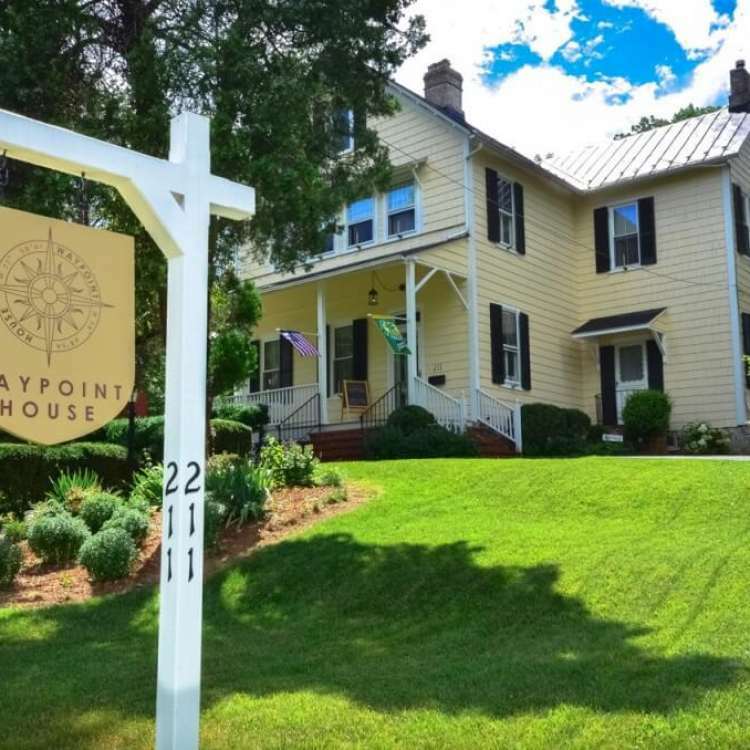 At Waypoint House you’ll be treated to a clean, comfortable house, a restful night’s sleep and a delicious breakfast each morning of your stay. All the while you’ll have access to free WiFi and in-room cable TV – especially convenient for those who can’t disconnect without knowing they’re still connected. Need a recommendation for a good place to eat or a fun place to visit? We’re full of ideas, so feel free to ask us! You’ll get one-on-one service here you won’t get at any chain hotel. Your experience is our main concern. If there’s anything we can assist with during your stay please don’t hesitate to let us know – we’re here for you. So, as we like to say here at Waypoint House – Relax, enjoy and find yourself here.